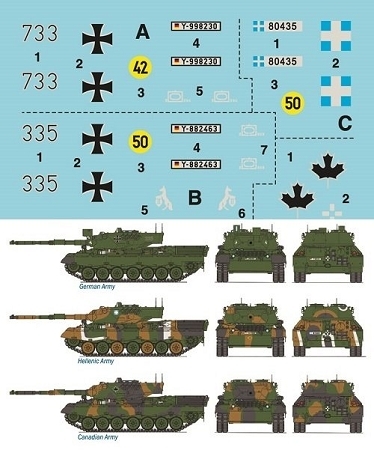 The Main Battle Tank Leopard, entered service in the mid-60s, has been the “backbone” of the Federal Republic of Germany armored units during the cold war. The Leopard role was critical: it would have to face the huge masses of tanks could be deployed by Warsaw Pacts armies. The main armament was the reliable L7 105 mm. gun, produced in Germany under licence, able to use different types of ammunitions. 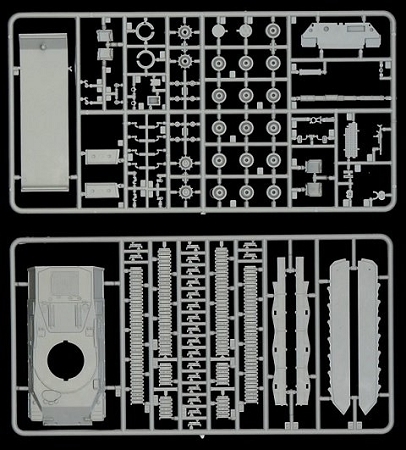 The Leopard A4 version, which entered service in the 70s, was a steady evolution over the first production batches. The new welded turret, equipped with new armored spaced steel plates, already used on A3 versions, increased the protection rate significantly. 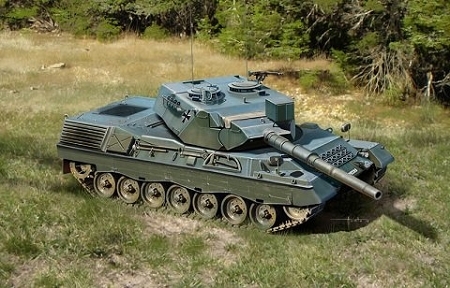 The Leopard A4 was equipped with a new computerized fire control system and a more modern sighting system.